(Bar Harbor, ME) The MDI Biological Laboratory will kick off its 2016 series of Art Meets Science Cafés on Monday, June 20, at 5:00 pm with a presentation entitled “A History of Scientists and Artists Working Together in Acadia” by environmental scientist and author Catherine Schmitt. 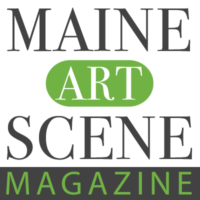 Ms. Schmitt will discuss the connections between art and science on Mount Desert Island in the 19th century. “The paintings, sketches, prints, maps and photographs that accompanied scientific reports contributed to the promotion of Mount Desert Island as a tourist attraction and to the public understanding of scientific principles,” Schmitt said. Indeed, the founders of the park envisioned it as a laboratory for the observance of nature. One of the founders, George B. Dorr, helped realize this vision by establishing the MDI Biological Laboratory on Mount Desert Island in 1921. The exhibit will include observations by artists on nature, from Acadia’s scenery to the microscopic world of molecular biology. One of the goals is to highlight the how the two disciplines share processes of observation, discovery and experimentation, as well as the drive to communicate a deeper understanding of the natural world. The Art Meets Science Cafés will be held every other Monday from June 20 to September 19 (see mdibl.org/events for dates and topics) in the Kinne Library at the MDI Biological Laboratory. The Art Meets Science exhibit will open at 4:15 pm on the day of Schmitt’s presentation and will be available for viewing at 4:15 pm at all future cafés.